Often it can happen that your device falls down and the display breaks. Or the mobile phone falls into the water and cannot be switched on at all. That's nothing to worry about. You can have it repaired by us and we will help you as soon as possible. Before that we recommend you to have a look at our price list and, if necessary, to contact us. We can inform you about the price after the examination. Please don't forget: Even if the repair is not possible, the price for the diagnosis is 10 euros! Please pick up your device from our shop within 4 weeks. 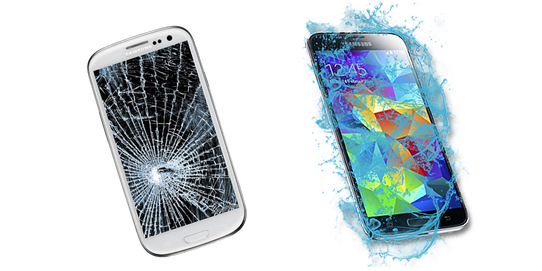 When repairing water damage to the mobile phone, all data will be erased from the device!